As the growing temptation for automated processes covers the varied industrial spectrum, Machine Learning is emerging into an ocean of possibilities while IBM’s Watson leads the marathon. From acting as a virtual chef of 65 recipes to embracing space programs, there’s a swathe of applications being ideated, built and rolled out to the public. Pulling large volumes of data and producing the most relevant possible results to user’s quest stays the flag bearer, Watson is amazing in churning higher revenues and upscaling business presence. Treatment for many of the world’s deadliest diseases is entirely dependent upon reference to past records. While browsing through them all using traditional analytics applications is unvaried, IBM Watson takes a giant leap with instant derivations from years of clinical research and patient data. Such accurate identification of potential risk factors helps try more effective pharmaceuticals. The answer to the deadliest diseases is hidden in our history and cognitive analytics may exactly help us reach there. Complying with legal standards and the brand repute, manufacturers are bound to bestow attention to detail so that superlative quality isn’t compromised with. IBM Watson is being applied to detect faults and ensure the end product is performing as per the standards. Not to miss, additional checks to qualify the product on safety parameters is also performed accurately by the cognitive analysis the platform has. As a result, the best of brands in the world are saving millions of dollars that were by default drained in fighting lawsuits and liability cases. The eligibility towards loan offer is derived out of many metrics such as different sources of income, savings, age, banking record and the type of employment. Browsing through the details and calculating a specific loan amount that the customer fits into is a tedious process and usually takes up to many days before payout. At times, such a break in the customer interaction compels the customer to withdraw the request and look for alternatives; a major loss to business when hundreds of such leads don’t mature. IBM Watson eliminates the need for manual scanning and verification does all the needed checks within minutes and lets the agent confirm the status instantly. Such a leap over traditional processing helps close deals faster and works as a terrific alternative for customers in need for extempore financial needs. Days of processing boiled down to minutes anchors in the portfolio. One of the most implacable problems of our times has been the inability to accurately predict potential threat to farmlands from unpredictable weather conditions or any human activity of mass impact. In complete sync with IoT, IBM Watson gets the best out of Cognitive Analytics by analogizing structured and unstructured data from multiple channels. Using historic and predicted weather data, published research notes, geographic information, identifying vulnerabilities and using real-time pictures from drones, an insightful report is being used to make pointed predictions and take safety measures in advance without any need for physical monitoring of the affected areas. Needed skilled force versus available resources stays a challenge today and may get worse in the decades to arrive, especially in rural areas. UN predicts a tremendous rise in urbanization with more than 60% of world’s population living in the urban areas and thus a scary shortage of skilled labor in farmlands. IBM Watson is being unlatched to automate processes and cut down drastically on the number of people working manually on land. Remote Management has a wider acceptance and a productive impact on business processes. It helps improve workforce utilization and IBM Watson is surely an unquestionable tool to look out for. Chatbots are the trendiest advancement in interactions with automated conversations with end users. Being able to decode natural language and inculcating machine learning techniques, these virtual assistants are already a rage in customer support across retail, media, services and travel industry. 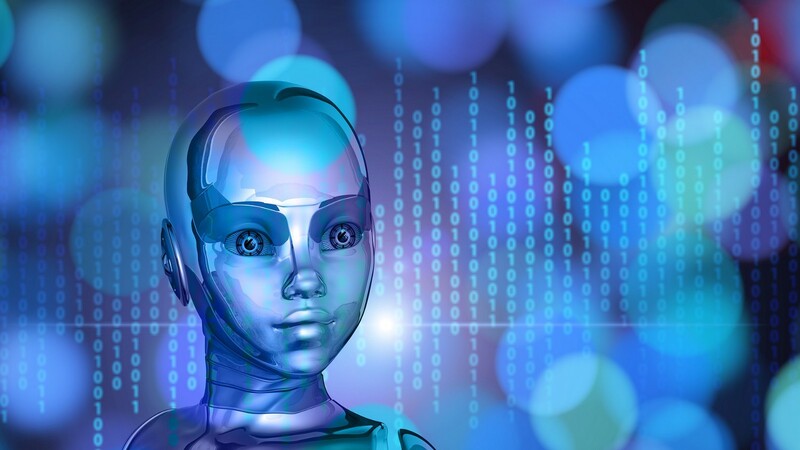 Still nascent in their ability to pull off longer conversations and with a personalized touch, Chatbots are one of the most hugely anticipated applications from IBM Watson towards sharing insights and giving suggestions. This could possibly be one of the most innovative ways to utilize a proprietary algorithm enhanced by IBM Watson’s deep capabilities. Deciding upon the most suitable diamond for her is a tough task at hand that men wish was as easy as one-two-three. By creating, ROSI, the world’s first AI-powered digital diamond expert leading online diamond retailer RockHer, has actually achieved it. ROSI correlates your needs for diamond shape (round, princess, cushion, and oval etc) and budget, with preferential choices, the online store’s integrated AI platform does the work and produces the most relevant results in seconds. RockHer also offers instant insurance approvals through Jewelers Mutual and Free Overnight FedEx shipping making the overall diamond purchasing process as quick as a few clicks.